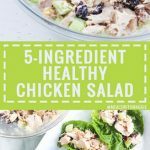 Lately I have been obsessed with quick and easy meals and this 5-ingredient healthy chicken salad is a great addition! If you haven’t checked out my Instagram page, I posted an easy scallop recipe and a coconut curry chicken picture that I made last week. 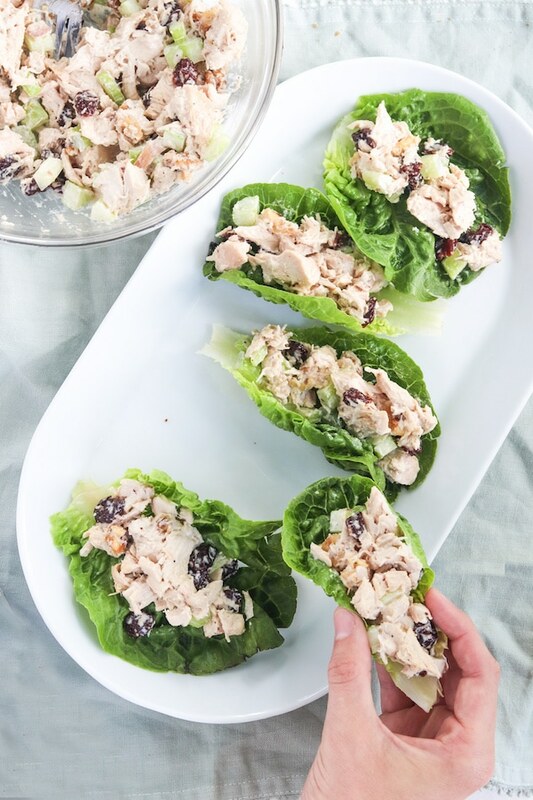 Getting back to this 5-ingredient healthy chicken salad, I feel like chicken salad gets a bad rap. Most of the time it is swimming in mayo inside a deli counter with god knows how many hands in and out of the bowl. This doesn’t exactly sound appealing. 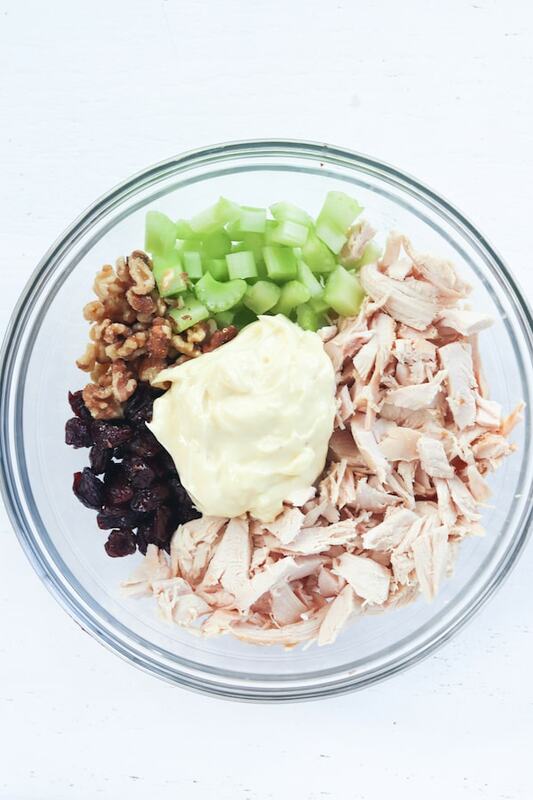 I’ve also tried to make chicken salad healthy for years using greek yogurt… it just doesn’t taste the same for me. 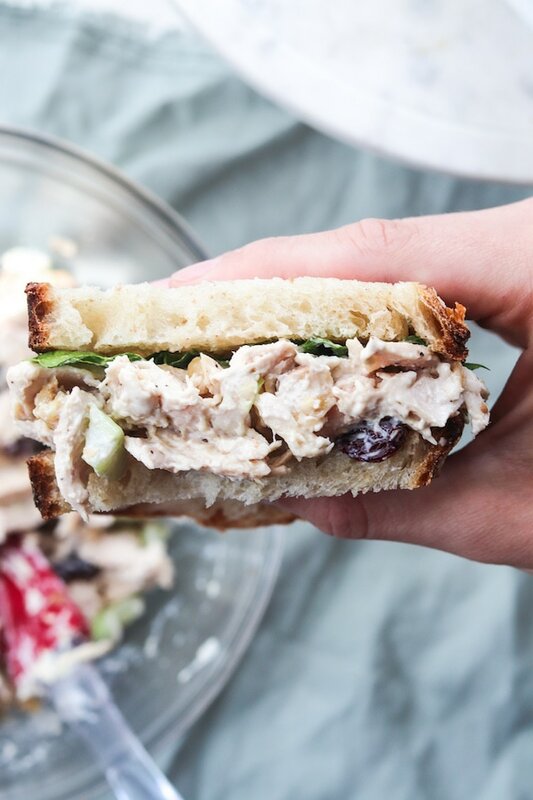 This 5-ingredient healthy chicken salad is super easy and can be made in probably about 5 minutes (if you know your way around a rotisserie chicken). BTW- Costco has a rotisserie chicken for $5.00! Cheapest-I-ever-did-see! Plus, it’s huge. Simple and oh so versatile ! 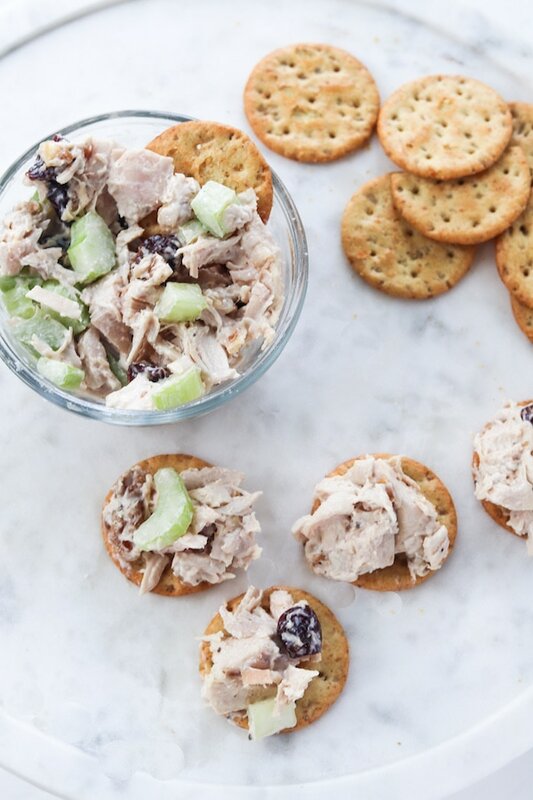 Dip: When you’re at work and just want a nice crunch with your lunch or perhaps when you’re entertaining some guests at home. Sammy: When you have bread from your local bakery hanging out on your kitchen counter. It’s hot and humid and would hate for that bread to go bad, go with a sandwich (any sourdough lovers out there?!). 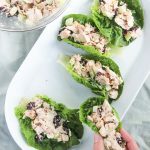 Lettuce cup: When you have girlfriends over and just want something light and fun to accompany your numerous appetizers or glasses of wine, go with the lettuce cups. Mix everything in a bowl and enjoy with crackers, lettuce cups or on a sandwich ! 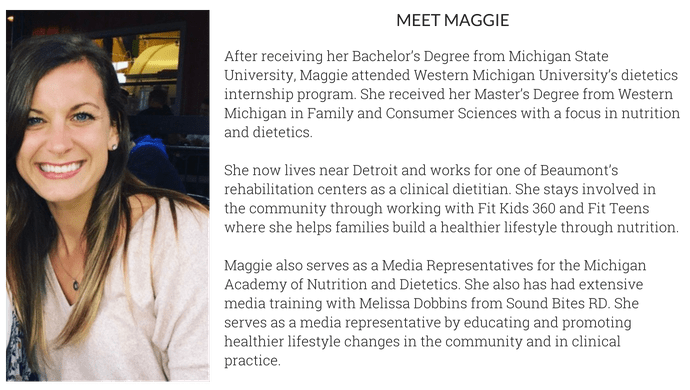 Meals with Maggie is on Pinterest! 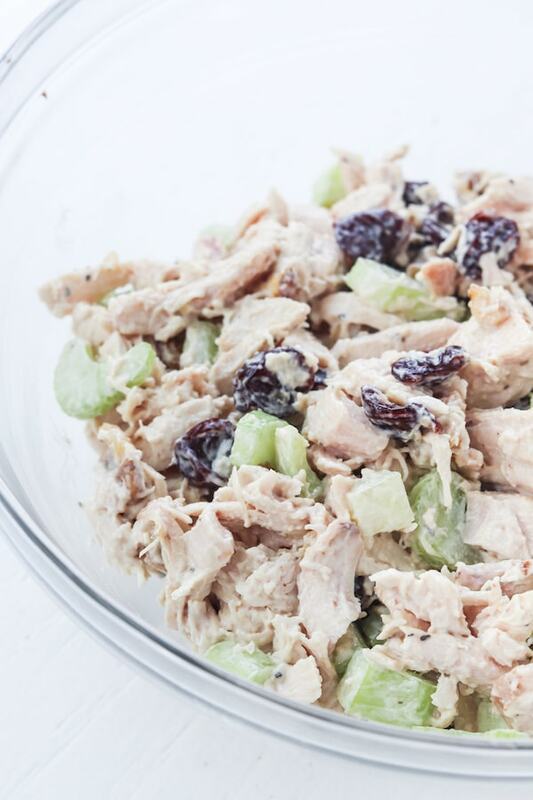 This Healthy Chicken salad is absolutely delicious and guilt free in every way! I make it every week for my husband and I and it’s safe to say we are hooked! Pretty much obsessed with this recipe. It has become a staple in my house. 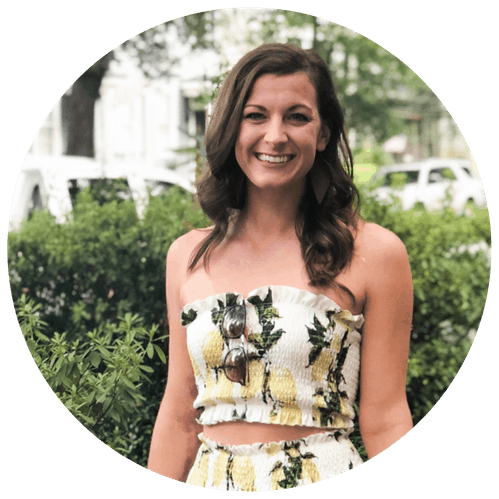 It is very easy to prepare and I always have the ingredients on hand! Ps- I love the avocado mayo! That’s so awesome! Thank you so much Lori!